March 9 is National Barbie Day in honor of the Barbie doll's first appearance on March 9, 1959 at the American International Toy Fair in New York. Barbie's full name is Barbie Millicent Roberts. She was named after the doll creator's daughter. 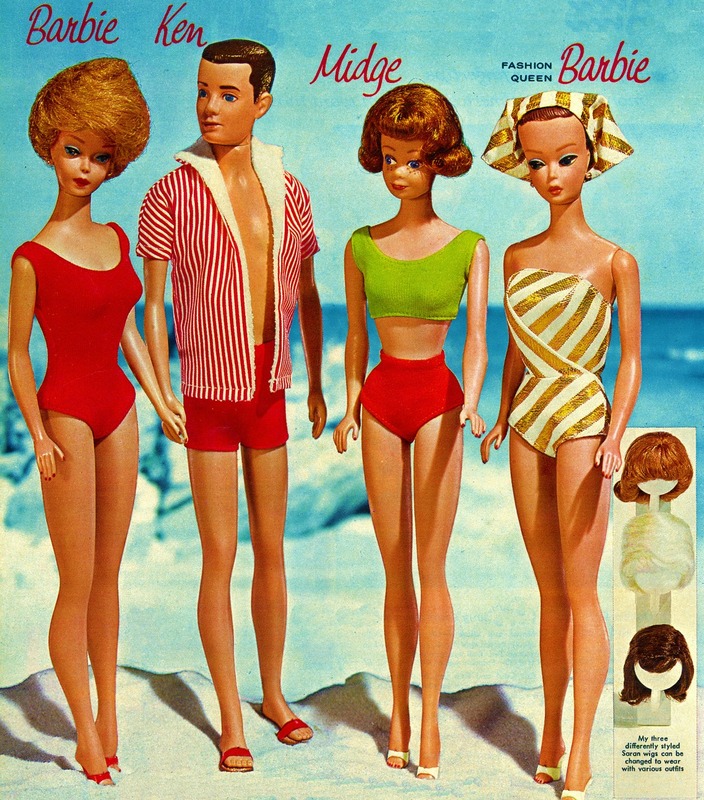 Ruth Handler, who created the Barbie doll, was inspired by the German fashion doll Bild Lilli. 351,000 Barbie dolls were sold in 1959. Barbie has had over 130 careers over the years. Her best friend, since 1963, is Midge. Her boyfriend, since 1961, is Ken. Ken was named after Ruth Handler's son. The first celebrity Barbie was Twiggy, based on the fashion model, in 1967. Did you play with Barbie as a child? Which Barbie was your favorite? I'd love to hear from you in the comments, below. Love these facts and Midge was totally my favorite when I was growing up! TBH I was never much of a Barbie fan! (I know) BUT I did have a few that I LOOVVEEDD. Specifically gymnastics barbie (she was bendy!) and the barbie where you could dye her hair with water and then it went back to blonde when dried. That was just so cool to me to put purple stars in her hair. I've had Barbie dolls for most of my life. Even had the first Dream House - a big old cardboard suitcase with cardboard furniture (with the legs that promptly broke and were repaired with toothpicks). My favorite Barbie is the one I got as an adult nearly 20 years ago - Paleontologist Barbie. She even came with her own dinosaur! haha, I had no idea Barbie had a full name! !